Love is one of those things we all crave. It’s utterly human to pine connection with another. We go to great lengths in pursuit of love even if we’re prone to fail or we hurt ourselves in the process. Somewhere deep inside we understand the chance to connect and be loved is worth the risk, and because the opposite–loneliness–is a place near the abyss that we must avoid. If I were to ask you, “what’s the greatest love story ever told?” how would you answer? A film? A poem? Your own personal story? I’ll let you figure out the first, and even the second one, but I know the third greatest love story of all time. Maybe you’ve seen it before? This story from the movie Up! is evocative. Why is this? In a matter of five minutes our emotions are pulled into the simple life of Ellie and Carl, a beautiful love story that tears at our heartstrings because it’s in fact a broken love story. There is brokenness because despite their normal life Carl feels there was missed opportunity. He comes to a moment where the repetitive normal rhythm of life didn’t meet an unspoken expectation (in this case a trip to Ellie’s dream location: Paradise Falls). 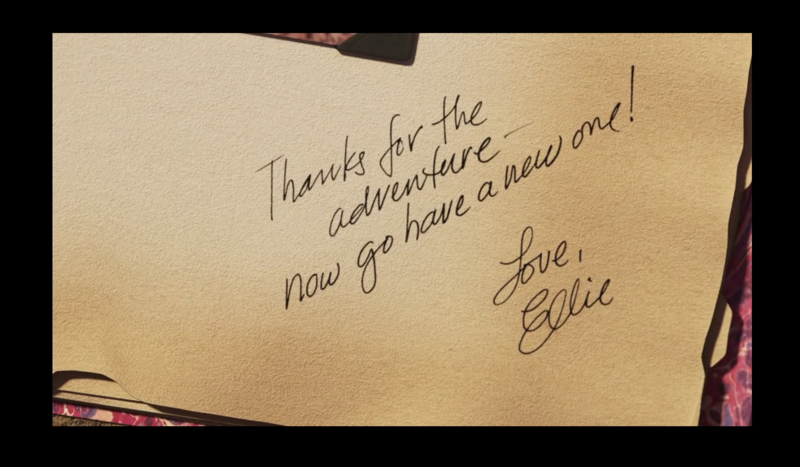 He decides to fix this by finally planning a surprise trip, only to see Ellie turn ill and ultimately pass away before they could meet her dream. Meeting another person in the day to day drawl doesn’t seem to romantic. Many times it isn’t, but this is exactly where we continuously encounter a choice: love beyond ourselves or not. Or to put another way, love only your own ambitions or love shared dreams. Carl felt immensely guilty about his situation, but it turns out that’s because he temporarily forgot the shared dream that made their love ‘tick’. Her life and adventures were woven together by the pursuit of a common life with Carl. In that she found everything she could imagine, despite the messiness along the way. I wonder how often we get caught up in bad relationships or stuck in the ones we’re in because we get fall into choosing the ‘I’ over the ‘we’? That’s the third greatest love story of all time….at least I think it is. The first two? Well one of them, for me at least, is the story that God has for all of creation that also includes me. Inexplicably God chooses the ‘we’ relationship. God chooses me and I can choose God. ‘We’ relationships are reciprocal. ‘We’ relationships grow over time. ‘We’ relationships tend to stand the test of time. A love story that stands the test of time? I think I can say, “yes” to that.